The creativity and happiness that art brings can make all the difference in the life of a loved one who’s been progressively in decline. The multi-modal approach of expressive arts has proven to be a powerful tool for treating memory loss, dementia and Alzheimer’s disease. More than giving this population something pretty to look at or an exercise to keep them busy, it stimulates the brain. It stirs memories and can bring language back into the life of someone who struggles to speak. Studies show that engaging in the arts gives back to Alzheimer’s patients, in some part, what the disease has taken away. It stimulates the senses, can trigger dormant memories and encourages conversation. Whether they’re viewing or creating art themselves, people with the various forms of memory loss can use it as a form of expression. 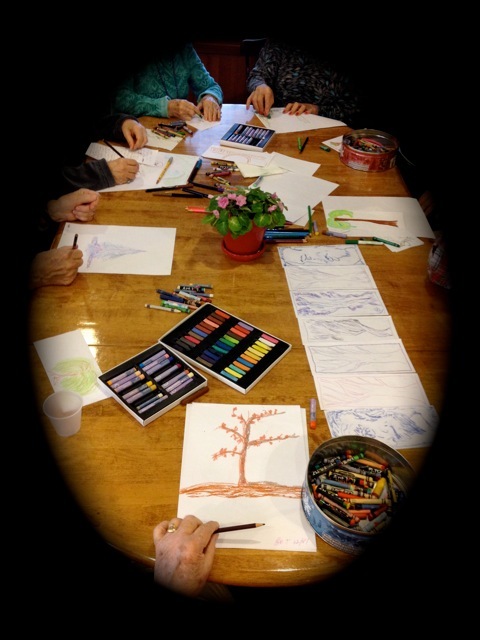 I run an on-going weekly expressive arts group for the residents at the Ethan Allen Residence in Burlington, Vt. This group is consistently the highlight of my week. Words can not express the joy and sense of fulfillment I experience working with this population. If you are part of a Memory Café, work for a facility that services memory-loss clients or have a loved one living at home with early onset memory-loss, dementia or Alzheimer’s, I can help. I am available for 1.5 – 2 hour group sessions and can be engaged for 1 – 1.5 hour individual expressive arts sessions for the affected individual and/or their caretakers. Topaz is such an asset to the programming at Ethan Allen Residence. 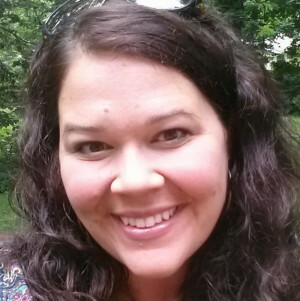 She has the ability to connect with small or large groups of our residents, or one on one. Topaz has the innate ability to unite a group of people with various needs towards a common goal of creativity and self-expression. She is intuitive to what will be successful with our population, and as a result, our residents connect with her and with each other in creating art and expressing themselves. I have seen people who face many challenges grow and find a voice and confidence with her guidance.